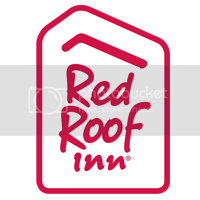 Introducing Red Roof PLUS+ Knoxville West – Cedar Bluff! Experience Knoxville, Tennessee with our newest PLUS+ Location – Red Roof PLUS+ Knoxville West – Cedar Bluffs! Add more WOW to your stay with our newly renovated rooms, contemporary furniture, new bathrooms with granite countertops, a comfortable easy chair and more. Book your stay now! Downtown Knoxville is just a short 11 mile trip from Red Roof. Come into the city and see what Knoxville has to offer you. From restaurants to shopping to nightlife, there is something here for everyone. Knoxville’s Market Square (11 mi) is filled with great dining, shopping, farmers markets, theatres, gallery walks, live music, water play fountains and more! The district is home to many festivals throughout the year. World’s Fair Park, 11 miles away, is a large park filled with waterfalls, streams, interactive fountains, a one-story-high geyser, a large Performance Lawn perfect for concerts, festivals, conferences and other special events, beautiful walking paths, an amphitheater and the Sunsphere, which has an observation deck and restaurant. With more than 60 adventure elements – from ziplines and bridges to swings, nets, elevated tunnels, and more – Navitat Park is a treetop wonderland full of surprises. Adventure awaits with Canopy tours and Zipline fun. Local Dining: Not sure where you should eat when you are staying at Red Roof Inn Knoxville West – Cedar Bluff? Check out this list of restaurants that are all within 1.5 miles from our location: Famous Dave’s Bar-B-Que, Applebee’s, Carrabba’s Italian Grill, Outback Steakhouse, Cracker Barrel, Waffle House, and Perkins. Knoxville Museum of Art (10 mi) celebrates the art and artists of East Tennessee with exhibitions and educational & classes pertaining to the culture of the region. Check out the exhibitions and the painted mural at Oak Ridge Art Center (14 mi). The Women’s Basketball Hall of Fame (12 mi) preserves the history of the game, offers education and lots of fun. The Oliver Hotel opened the Peter Kern’s Library inside of the hotel behind the front desk. The library is in an oblong room with a large portrait of Peter Kern, builder of this former bakery/confectionery, and a gas fireplace. The drink menus hidden in old World Book Encyclopedias, offer more than a dozen specialty drinks all named for characters in fiction. 10 mi away. Knoxville Zoological Gardens (15.7 miles) is the perfect place to bring the kids when traveling to Knoxville. While you are here be sure to check out the giraffe feeding encounter. Some 4,000 annuals, perennials, herbs, tropical plants, trees, shrubs, vegetables and ornamental grasses are evaluated each year at UT Gardens. Both the Knoxville and Jackson gardens are TN Certified Arboreta. The gardens are open during all seasons and are free to the public. Knoxville Convention Center is just over 10 miles away from our property. There are a variety of different events always happening here. Stay close by when attending an event! See events here. Are you traveling to Knoxville to visit a friend or tour the campus of University of Tennessee (10.2 miles)? How about checking out a sporting event while you are here? Save time on the commute and spend more time exploring – Red Roof Inn Knoxville West – Cedar Bluff is nearby! Tennessee Theatre (11.9 mi) is listed on the National Register of Historic Places and is the Official State Theatre of Tennessee, “Knoxville’s Grand Entertainment Palace”. Experience The International (10 mi), a unique entertainment space in the Warehouse District hosting concerts & events throughout the year. With so much to see and do, save money and experience it all by staying at our budget friendly and family friendly new PLUS+ location. Experience our complimentary coffeehouse-style coffee and tea in the lobby. We offer a fitness facility on-site, an outdoor pool, all new rooms and bathrooms, free WiFi, flat-screen TVs and more. A great location for visiting Tennessee’s attractions. Stay with us! Escape to the hidden treasures of Maryville, MO!